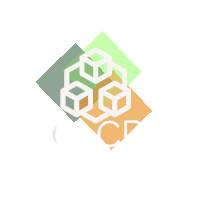 CLCP needs to collect and use certain types of information about people who may come into contact with the CLCP in order to operate. In addition, it may be required by law to collect and use certain types of information to comply with statutory obligations. “Personal Data” means data which relates to a living individual who can be identified by that data (such as name, address, date of birth or telephone number). “process” or “processing” is broadly defined to include obtaining, recording, holding, using, disclosing or erasing data. “Sensitive Personal Data” includes data relating to race, political opinions, health, sexual life, religious and other similar beliefs, trade union membership, or criminal records. CLCP must deal with this Personal Data properly however it is collected, recorded and used – whether on paper, in a computer, or recorded on other material – and there are safeguards to ensure its actions are in accordance with the Data Protection Act 1998.
allocate such resources as may be required to ensure the effective operation of this Policy. You have a statutory right to request access to the information held on you by the CLCP. CLCP will provide access to such personal information within a maximum of forty (40) days from request. There is no charge for this service.